Here is a gift I made for a friend having a baby. It's gender neutral, but in a very cute sort of way. 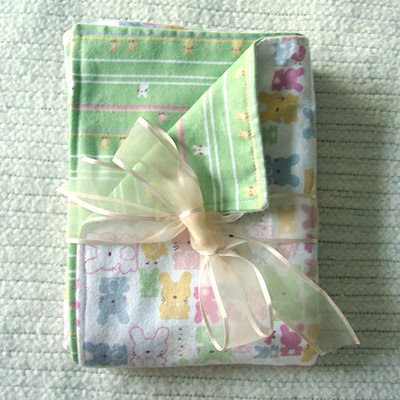 :) Both fabrics are 100% cotton flannel, and it's oversized in case it's used for swaddling.